I've been feeling busy these days. Running around and doing things everyday. Since SmartGuy has been coming home for lunch and this week Mickey started headstart, so he's at preschool for 2 hours a day. It's a lot of me running around dropping off and picking up. Plus keeping busy exercising, going to craft night and some parenting workshops, we made pot pies yesterday and the moose pot pie we had for dinner was delicious. I've been busy and not in the house much these past several days. It's been pretty crazy. I have been taking time out to do something fun. 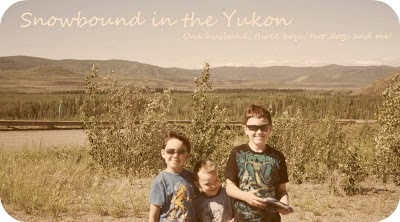 Sunday I went for a hike with the boys. We walked down by the pond, took the trail out of there and across the field and highway and over some tailing piles. We made snow angels and got home all exhausted. I made them some hot chocolate. It was a really nice time. I thought this could be a good weekly ritual I could do with the boys to get us active. I've feeling pretty good, going to bed at decent time and trying to watch what I eat, though I'm not losing any weight, I am losing inches. I guess everything is turning to muscle right now and I'm not getting enough fat burning cardio. I'll have to work on that. So I gave up smoking over a week ago Monday, and this Monday I gave up Pepsi. So I'm doing all right. I was going to go out for the Halloween extravaganza's this weekend but realized that if I went to a bar I would start smoking again and I know that for a fact. So I will be staying away for my own health. Even though it's been a busy week, it's been a nice week with the kids and I even had a heartwarming dream about them this morning. Which is nice because I had a couple of scary dreams last week. Most likely because I wasn't feeling myself and was plagued with worry over a couple of different things. One being I might be pregnant after I learned tube tying is only 1 in 1000 effect, I got a bit paranoid I think and let my health things think I was pregnant and I even did a test but you know how it goes do a test and the next day you get your period. Yeah, that's what happened. I guess guess it would explain my feeling so crappy since it's my first real one since have Little One. So enough about that. So I've also been checking my blood glucose levels every morning just to see where they were. They've been all good under 5.8 with varying fasting times. But I was reading this week in some of my magazines, this being diabeties awareness month that the blood glucose test that checks your overall blood sugar is best for that. But the only thing that doesn't make sense to me is how blood stores those records for 3 months, it just doesn't make sense. Anyway I was at the doctor yesterday to get antibiotics for my abcess because it formed a boil and the next time I see the dentist I need him to deal with it, so it needs to be healthy. So my blood results from August are all good. My thyroid is the same wierd subclinical something or other. Where my TSH is normal and one of my markers is down or up or something. I'll worry about it when I have to worry about it I guess. So there is me in a nutshell. I need to go eat now that I've taken my blood and I'm going to make some banana muffins.